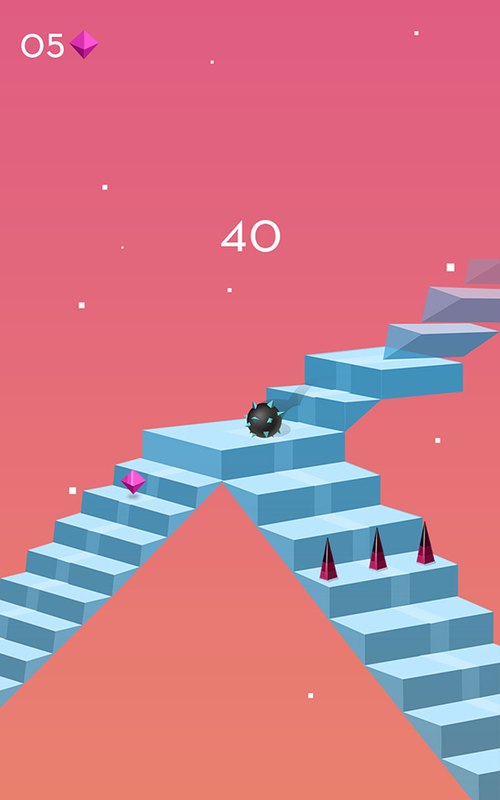 Stairway is the latest release from The Mascoteers, combining the aspects of strong gameplay, simplicity and originality that made previous titles so compelling! 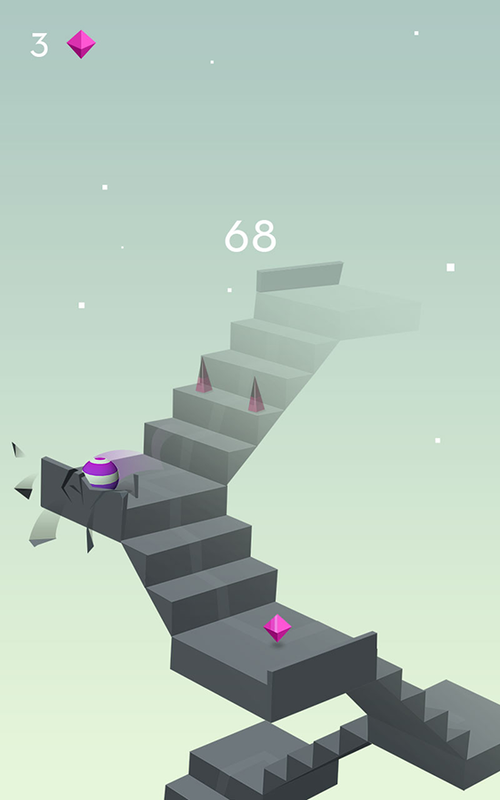 In Stairway, you earn points by ensuring the ball continues to descend down a long staircase for as long as possible. 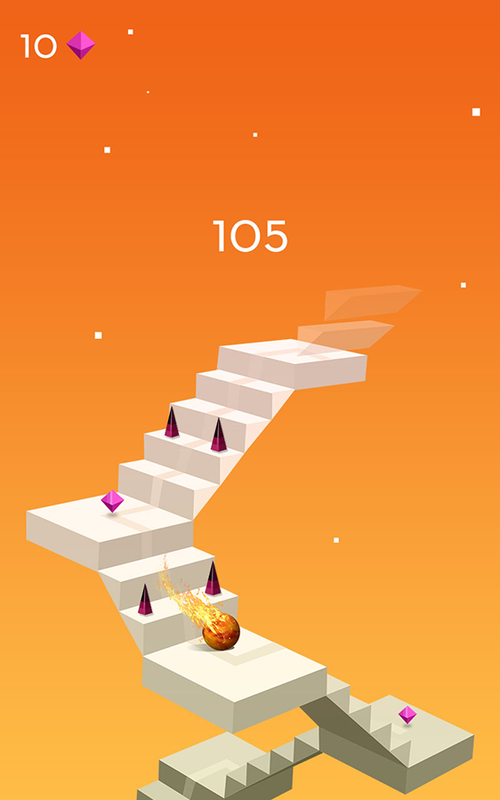 You will need to tap the screen at the correct moment to change the ball’s direction and follow the stairway through its frantic twists and turns, avoiding spikes and hazards along the way for good measure. 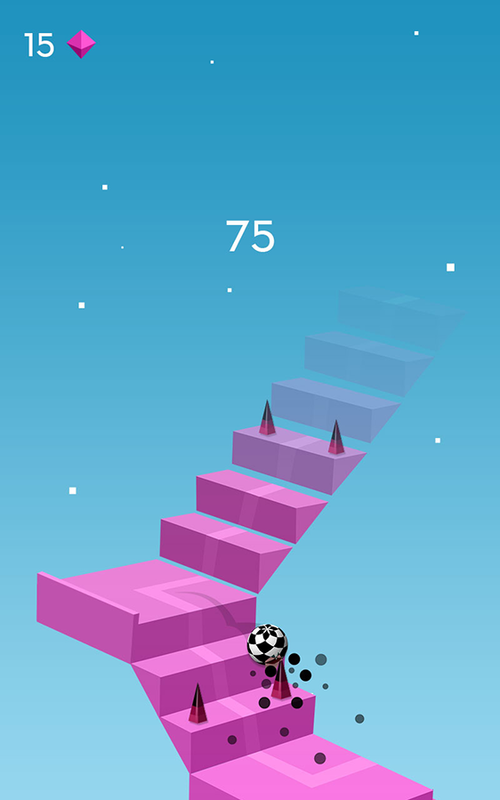 One mistake will either send the ball flying off the side of the stairway into the unknown or pop the ball altogether. As the ball picks up speed, it becomes increasingly difficult to stay in the game! 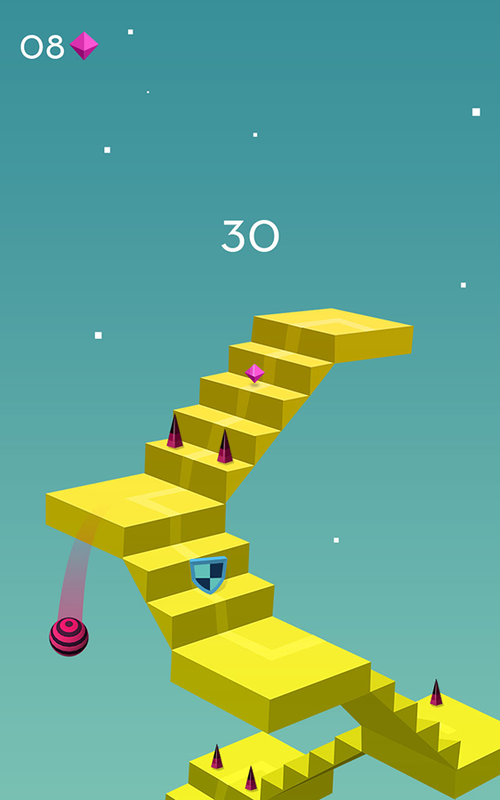 Easy to learn and tough to master, Stairway is one of those apps that can keep you entertained no matter how many times you play. The team at The Mascoteers had been throwing ideas around with regards to a rolling ball that the players needs to navigate through a maze of some kind. The idea of the staircase, which in the finished version is obviously a central concept, was thought up later but certainly adds a compelling, important wrinkle into the gameplay. Stylistically, Staircase was always envisioned to have tranquil, relaxing graphics and this is certainly the case in the finished product! The Mascoteers allows for the contents of Stairway to be published through video broadcasting services for any commercial or non-commercial purposes. Monetization of videos created containing assets from Stairway is legally and explicitly allowed by The Mascoteers.